There is truly nothing better than a recipe that can take you back to a sweet and peaceful time from your childhood. Those sights, smells, and flavors that take you back to someone’s kitchen are priceless. For me, it was my grandma who had a home that always smelled of something delicious. I remember her fresh peach cobbler as though it were just yesterday that she made it for me. For some people, an relative, parent, or dear family friend may have been the one to bring the flavors and scents to life on the stove, and on our plates. Today, creating a dinner with the children in our lives, is a way that we can give them memories that they hold on to forever. For those few moments we put down our devices, and focus on the ingredients going into the pan, as well as the people around to share in the excitement with. I was thinking about how cooking invites each of us to use so many senses, which is why it develops deep and lasting memories. We use our senses throughout the preparation and eating process; the sight of the colorful vegetables and the mouth-watering food on the plate, the feeling of the vegetables and proteins that we chop, slice, and prepare, the smell of the food and spices as they slowly come together in the making of a delicious meal, and of course we cannot forget the taste as everything is coming together. A simple flavor combination can bring back so many long forgotten memories. Taking time to, not only make our children food, but allowing them to share in the cooking process, allows a chance to build those connections and create fun and delicious memories that will bring them back to this place, your kitchen, when they are grown. Then they will have children to share not only the recipes with, but also the wonderful memories you made together. These BBQ Sloppy Joe’s and coleslaw create a fun, crowd pleasing dinner. 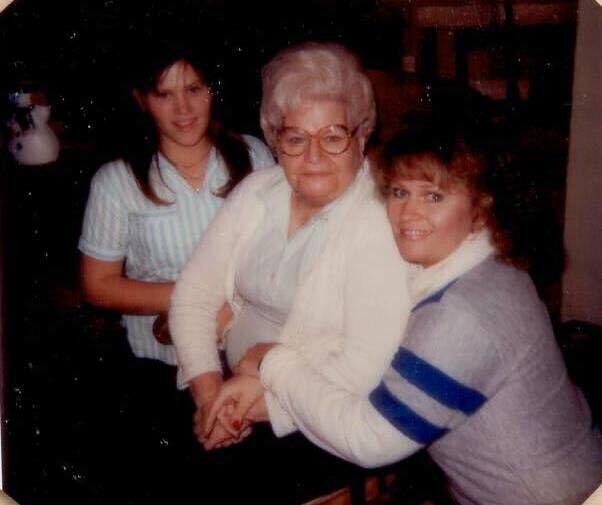 We want to say a special thank you to Tammy who submitted this week’s recipe along with this photo of her, her mom, and her grandmother. Brown hamburger, drain, add onion and green pepper and cook until tender. Add remaining ingredients and simmer. Serve on buns, with slaw for a delicious dinner. Mix all ingredients (except bagged coleslaw), add ingredients to your tastes. For a creamier slaw add more mayonnaise. Add to the bagged coleslaw, mix well, and store refrigerated.